The first oficial meeting of the Bulgarian JUG took place on 26th of September 2007. Group’s chairman/coordinator is Petar Tahchiev. Since 12th of October 2007 BGJUG maintains mailing list, where are considered questions and problems from the Java World, ideas for future seminars and topics related to the Java-community in Buglaria as well. The mailing list is accessible on the following URL: http://groups.google.com/group/bg-jug. At the same time had been created the BGJUG’s first site, but its mainatanance was discontinued after a few months. On 28th of July 2011 was created the current site, which aim is to represent the group in Internet and to serve as an information board for meetings organisations. 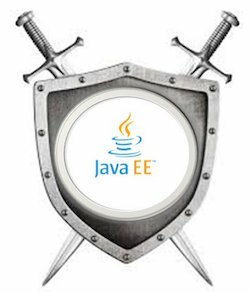 The site aggregates the posts from the group’s members’ blogs related somehow to Java. On 23rd of September 2011 was created a Twitter account of The BGJUG, which main aim is to representat us in Twitter. It will be used also for sharing news, announcements for meetings and seminars, i.e. everything which concerns BGJUG activities. Ivan St. Ivanov is development architect at SAP Labs Bulgaria, working in the HANA Cloud Platform performance team. He is active JUG member, driving the adoption of OpenJDK in Bulgaria. In his free time he likes contributing to open source software, mostly to JBoss Forge. Ivan is doing his PhD in the area of cloud multi-tenancy in the University of National and World Economy in Sofia. He is teaching Java, Java EE and SOA in three Universities in Sofia. Mihail is a security and software consultant, trainer and author. His resume includes projects in companies like Saudi Aramco, Boeing, HP, Siemens, USAF, several foreign banks and government entities. Mihail is the co-author of 6 books on software, and has 10 years of training experience in local and foreign companies and most of the local universities. Martin is a Java enthusiast. He is a graduate of Computer Science from the University of Sofia. He is also a certified Java professional (SCJP6) and a certified IBM cloud computing solution advisor. His areas of interest include the wide range of Java-related technologies (such as Servlets, JSP, JAXB, JAXP, JMS, JMX, JAX-RS, JAX-WS, Hibernate, Spring Framework, Liferay Portal and Eclipse RCP), cloud computing technologies, cloud-based software architectures, enterprise application integration, relational and NoSQL databases. You can reach him for any Java and FOSS-related topics (especially Eclipse and the OpenJDK). Doychin Bondzhev is Java developer with experience in many technologies. His work includes software for different businesses like telecommunications, warehouse management, point of sale, service management, billing , service provisioning, customer support, banking and many more. In his free time he contributes to some Open Source projects. He is a big fan of JavaEE and Microprofile. jProfessionals 3.0 – Java Day with Venkat. How it was. I recently had to use a PFX certificate for client authentication (maybe another post will be coming) and for that reason I had to convert it to a Java keystore (JKS). We will create BOTH a truststore and a keystore, because based on your needs you might need one or the other. TrustManager: Determines whether the remote authentication credentials (and thus the connection) should be trusted. KeyManager: Determines which authentication credentials to send to the remote host. Ok that’s enough what you will need is openssl and Java 7+ 😉 ! First let’s generate a key from the pfx file, this key is later used for p12 keystore. As shown here you will be asked for the password of the pfx file, later you will be asked to enter a PEM passphase lets for example use 123456 for everything here. Next step is to create a truststore. As you can see here you just import this crt file into a jks truststore and set some password. For the question do you trust this certificate you say yes, so it is added in the truststore. We are done if you only need a truststore. Entry for alias examplecert successfully imported. The JKS keystore uses a proprietary format. It is recommended to migrate to PKCS12 which is an industry standard format using “keytool -importkeystore -srckeystore keystore.jks -destkeystore keystore.jks -deststoretype pkcs12”. See you in post 2 how to use this keystore for client side authentication. Also how to use the truststore if you need to use it. The post Command-line SQL Client for IBM i 7.x (AS/400) appeared first on Bozho’s tech blog. The post Audit Trail in IT Context appeared first on Bozho’s tech blog. The post 7 Questions To Ask Yourself About Your Code appeared first on Bozho’s tech blog. The post Implicit _target=”blank” appeared first on Bozho’s tech blog.